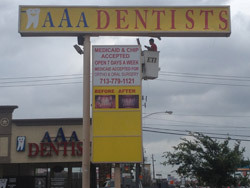 Our company diligently works on a daily basis to create channel lettered signs. A standard channel letter is a 3 dimensional graphic sign element. Its channel is fabricated from aluminum so that it will not rust. A flat sheet of aluminum is cut by a computer-controlled router which creates the back of the channel and is the basis for the shape of the letter. The sides of the channel letter, called the returns, are then formed by bending a 3 to 6-inch-wide (150 mm) strip of aluminum sheet around the aluminum back. This return is then flanged and riveted to the back to create a solid can in the shape of the letter. The letter can is painted and fitted with any lighting components necessary such as neon gas tubes or light-emitting diode(LED) modules. A translucent plastic face usually of 3/16" thick sheet acrylic fiber or polycarbonate is cut to fit the open face of the letter can. A trim cap border is applied to its edges which gives the letter face a finished appearance and creates a fastening surface to attach it to the letter can. Channel letters can be mounted individually or on the raceway as required by the landlord. When illuminated at night, channel letters draw the eye of anyone who passes by it. Channel letter signage in particular have grown in popularity in the last few years. Reverse Channel letters is a unique type of sign that our company manufactures.The face of the letter is constructed from aluminum and it can be both front lit and have a reversed Halo that projects light onto the back surface. These carefully rendered individual letters are mounted to provide an elegant halo effect when needed while offering a beautiful vibrant image in a multitude of pantone colors during the daylight hours. 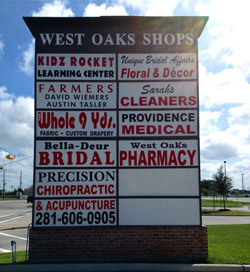 A pole or pylon sign is the main advertising tool for your business. These are free standing structures located near the main road and offer high visibility to traffic. Pylon signs internally illuminate the sign and have decorative faces using either flat or pan faces. 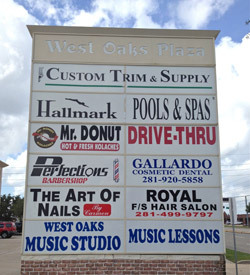 Splendor signs crafts each sign so that your advertising needs will be met. Creating a new pylon sign might seem like a difficult project but our team's experience and skills will make the task seem easy. From navigating zoning laws and permits to deciding what materials and technology best suit your needs, we will make sure your new pylon sign is a solution for the long term. Main ID with tenant panel signs are used to identify shopping centers, business parks or any area having more than one business. This sign type can be a low profile sign or a free standing pylon. Choices of sizes and materials are unlimited. The primary purpose is for property identification, directional sign and regulatory signs. They are highly visible and are the first opportunity to show corporate image. Materials used are usually heavy extruded aluminum with curved panel options. 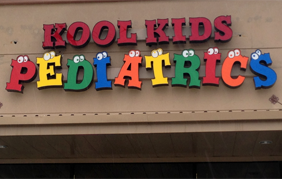 These durable signs are an effective and attractive system for high profile identification. A monument sign from Splendor signs doesn’t just identify your business; it makes a statement about your business – a statement as elegant as it is bold. Residential Realtors, Commercial Realtors and Builders all rely on signs to promote their offerings. Currently, Splendor signs is working with many property management companies, assisting them in manufacturing all kinds of property management signs which include leasing now signs, wooden signs, Pool Signs, Property information signs, HOA Meeting Signs, Apartment address signs etc. 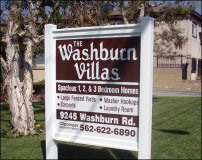 Property Managers who work with Splendor Signs will always have all their needs fulfilled. Yard signs are an incredibly effective way to deliver a local message. 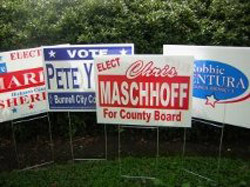 Companies and organizations use yard signs to announce events, promote sales, introduce candidates and direct traffic. For example, a yard sign is made on corrugated plastic 24 X 18 in. with print or vinyl. Banners deliver a message and attract interest. Sometimes a simple banner with just text works best, but many times something more elegant is appropriate. 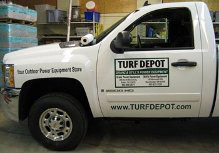 Our team at splendor signs will accomplish all your needs. We can print any size banner or create it with different colored vinyl. The advantages of magnetic signs are endless. With inexpensive car door magnets, your vehicle becomes a moving advertisement. You can customize your magnets with photos, logos, phone numbers and web addresses or simply whatever you want customers to see. You can create your car door magnets with the help of the team at splendor signs. The American's with Disabilities Act (ADA) guarantees equal opportunity to individuals with disabilities in many areas from employment to transportation and more. 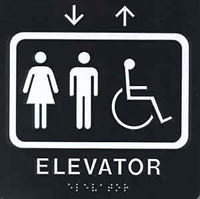 Successful ADA Signs should have both tactile raised letters and also Grade II braille for the blind and low vision individuals. Splendor signs creates the sign according to the law which specifies letter height, type of braille, color contrast, mounting location and more.